To a Little Scrub Island ground lizard, a pushup is less of a workout and more of an invitation to lunch. 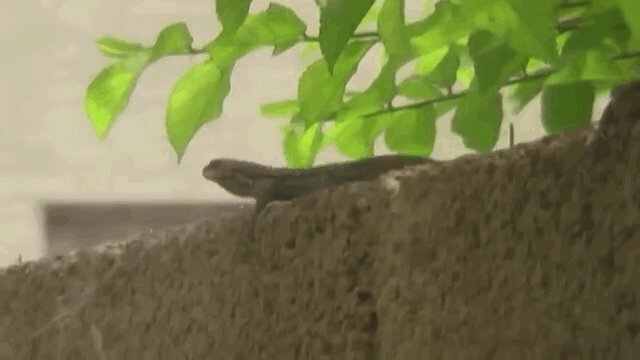 A pair of scientists at the Erell Institute in Lawrence, Kan., writing in the journal of Behavioral Ecology, found that when these lizards perform pushups near extra food, their neighbors will scurry over and tuck in. What's unusual about the Little Scrub Island ground lizards (Ameiva corax) is that these reptiles don't seem to mind sharing, as long as there's enough chow to go around. Most lizard species don't play nice -- many are territorial or, like the fig-eating cape flat lizards, attempt to steal food from one another. Upon encountering a whole pear, the lizards would perform a quick pump of the legs, a silent way to communicate in noisy environments. Based on the rate of pushups -- performed much more often near whole pears, and then with decreasing frequency as more diners showed up -- the authors believe these maneuvers are advertisements of bonus food (sort of like the ringing of a dinner bell). Ground lizards, however, aren't complete paragons of charity. When a lizard discovered a quarter of a fruit, he or she was much more likely to hunker down in a display of aggression than perform an invitational pushup. 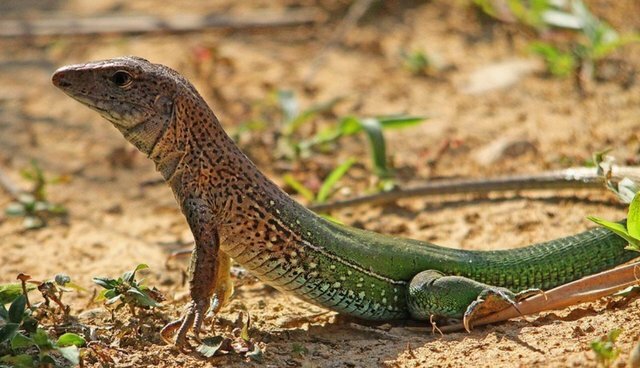 These lizards' displays, the authors believe, stem from their diet -- their favorite foods are comparatively large, and often difficult to snack on. When you're the size of a lizard, it's a bit easier to break open an egg if there's a friend helping out.